A Civil War–era novel about a slaveholding farmer and two of his slaves. Robert Stafford is a successful planter who lives on Cumberland Island, off the coast of Georgia. Like his neighbors, he owns slaves, but in other ways, he’s unusually dismissive of cultural conventions. 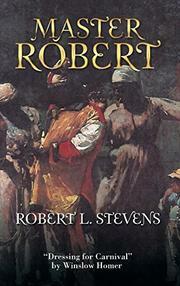 He marries one of his servants, Zabette, and because interracial marriage is illegal in Georgia, Robert relocates her and their children to Connecticut, where laws afford them greater protection. Although the Civil War is largely a remote affair for him, with minimal impact upon the island, the danger is getting closer. Union forces invade the nearby port of Fernandina—an unexpected move that sows seeds of future chaos. Later, a Union naval blockade compels Robert to stealthily ship his goods via a blockade runner, a risky venture. Furthermore, Confederate forces abandon East Florida, leaving the island essentially defenseless against violent looters known as “regulators.” The upheaval of the war is witnessed not only by Robert, but also Amos and Amelia, twin slaves who treat Robert as if he were their father. The most transformative changes, however, come at the conclusion of the war, as most of Robert’s slaves leave, and others threaten vengeance. Debut author Stevens sensitively captures the uneasy tension of Robert’s skewed moral outlook. When the slaves are emancipated, he’s shown to be genuinely surprised when many run away and others turn on him, and he expresses this in terms of astonished pique: “I treat my slaves well….No one on this plantation is mistreated. And now, with the bell of freedom ringing loud and clear, they leave...to go where?” In this way, the book effectively shows the clear limits of a slave owner’s progressiveness and exposes the moral untenability of such a position. The perspectives of Amos and Amelia—who eventually taste freedom—are also insightfully rendered. Despite the novel’s brevity, it also astutely provides a wealth of historical information regarding such events as the Louisiana Purchase and the Haitian Revolution. A thoughtful dramatization of the moral complexities of the War Between the States.